Wood endows living spaces with emotion. 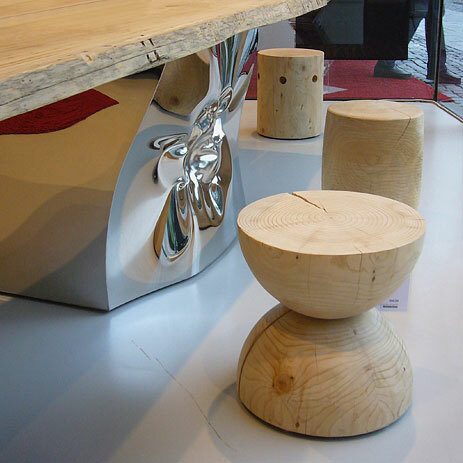 Here wooden wall panelling behind a sofa, as seen at Furninova at imm cologne 2011. 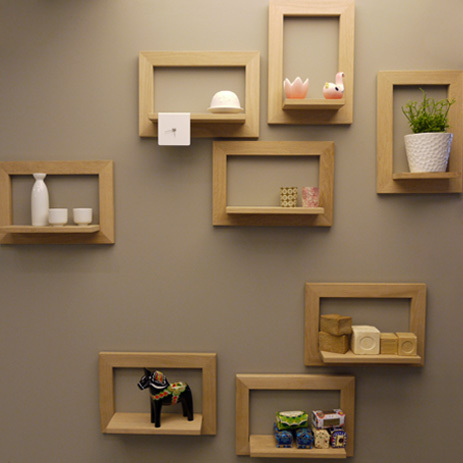 In home decor the current trend is for the natural look, with wood becoming increasingly popular. 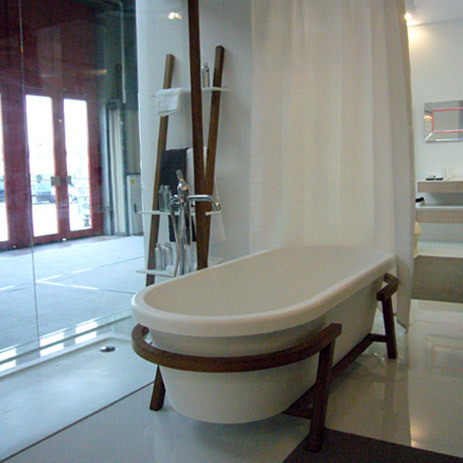 The warm, genuine charm of wood works really well in the bathroom too. 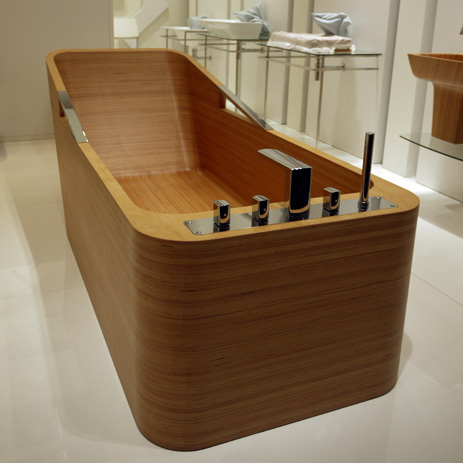 Wooden surfaces in the bathroom caress the senses: bare feet love its warm touch, and it brings the veneer of the wash basin to life. 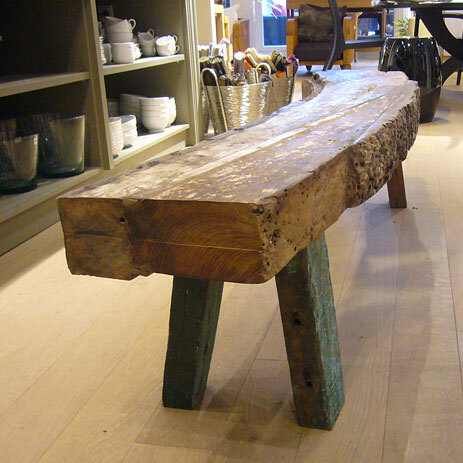 Whether it's on the floor, or a piece of furniture or a console for the wash basin: wood creates a homely atmosphere. It provides seamless transition from the bathroom to other living areas, and is completely in line with the current trend. In today's fast-moving world, where many people rarely get the opportunity to truly experience nature, wood gives us that spontaneous sense of well-being. 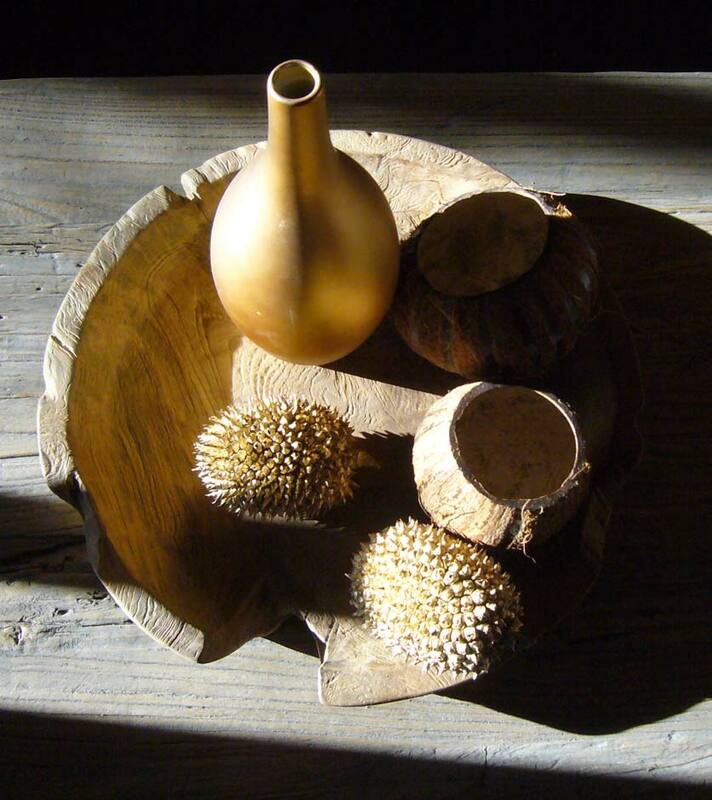 Not only does this natural substance convey warmth, it also brings something of the emotional element into the home. So it's not surprising that this is one of the oldest and most tried-and-tested materials to be used in home decor. 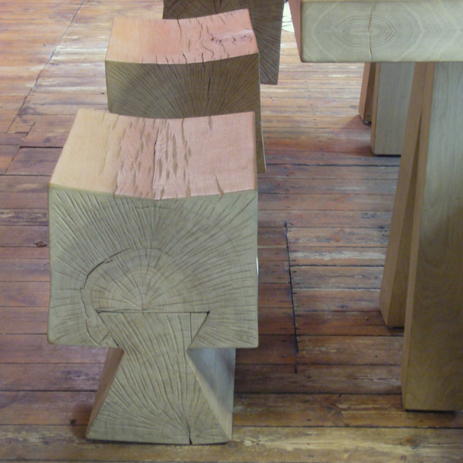 And it symbolises the natural passage of time: each board, each veneer ages in its own way – each one is unique. 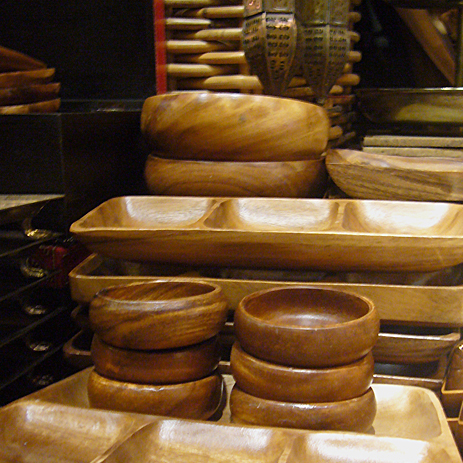 Surrounded by all the comforts of state-of-the-art technology, when we have this kind of authentic experience with wood it has the effect of "grounding" us. Wooden finishes, furniture and accessories can display a refined or puristic charisma, or even patina: the versatility of wood and its sustainability make it a favourite for all living areas. Axor, Hansgrohe's designer brand, features the charming, homely touch of wood in its bathroom collections Axor Massaud and Axor Urquiola, amongst others. As a homes journalist, our author Heinz Kaiser has been reporting on bathroom design for different media for many years.